Long hairs, as well as long strings, wind themselves around the vacuum brush bar, and can create a bigger problem in the long run. 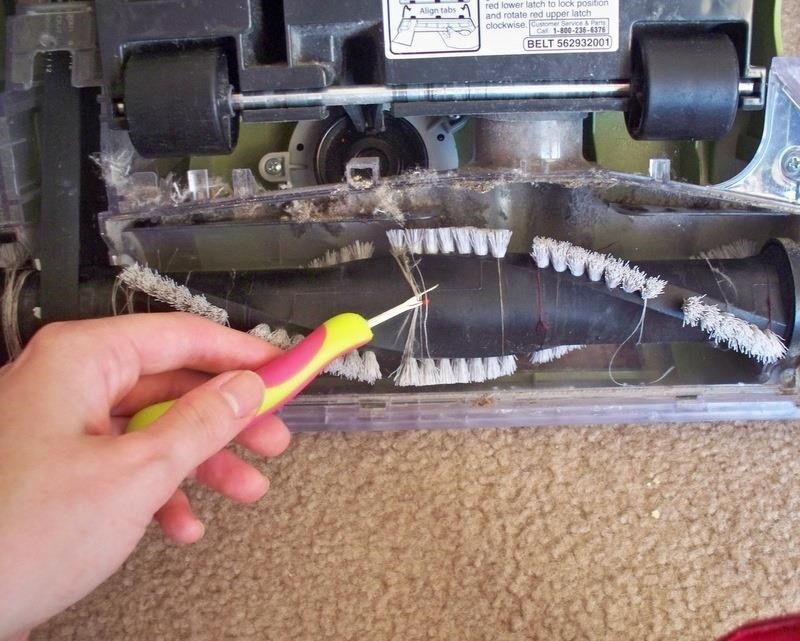 With the right tools, though, you can free your vacuum from tangles. Chances are, if you've done any sewing at home, you have something of a small sewing kit—and most of these include a seam ripper, a pointy and sharp tool that slices thread in half. It's the perfect solution for ripping out hems and other seams (hence its name), or any messy stitches along the way, but it's also the key to a hair-free vacuum. According to Reddit user ZingoMonkey, a seam ripper helps you remove all that built-up hair quickly and efficiently, with no damage to the appliance itself. It's much easier than pulling hair out with your hands, or even using scissors. Slip the long, pointed tip of the seam ripper into the bunches of hair, and push it forward. The sharp, curved edge of the tool will break through the clusters just as it does thread, freeing the strands so you can grab them easily and yank them free. Because of its slim size and small "blade", a seam ripper is the perfect solution for tangled vacuum hairs. 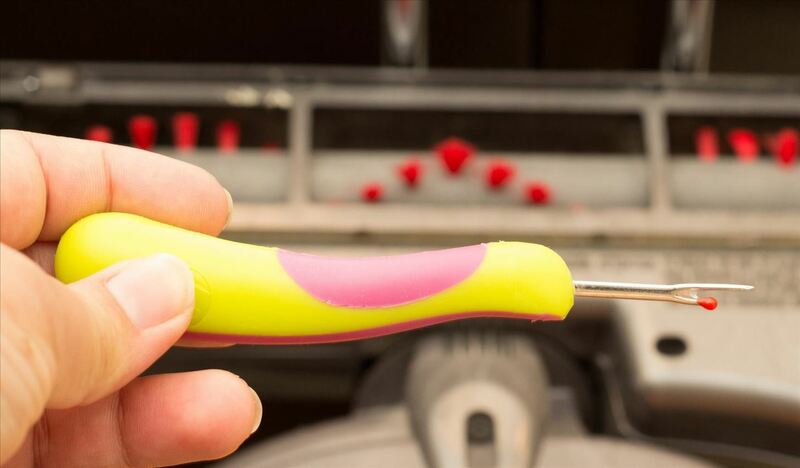 Although X-Acto knives, utility blades, and other sharp objects might seem like equal alternatives, it's the curved shape of a seam ripper that makes it the ideal tool. It fits easily inside the nooks and crannies of any vacuum, and has a handle long enough to keep your fingers safe from the detangling work. The next time you find your vacuum leaving debris behind, flip it over and reach for your seam ripper instead of your scissors. You'll get the job done quickly, and won't leave with sore fingers and a frustrated mind.